Hello from Oklahoma! 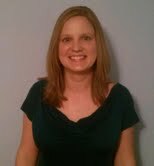 My name is Alicia Gillean and I am ecstatic that I was selected as a 2012 NOAA (National Oceanic and Atmospheric Association) Teacher at Sea! I am passionate about adventure, lifelong learning, and the ocean. I can’t wait to merge these three passions together for twelve days at sea this summer and to share my learning with all of my students and coworkers back in Oklahoma. I will be blogging about my adventure and learning while aboard the ship and you are invited to follow my journey and get involved by asking questions and posting comments. I’ll start by telling you a little bit about myself, then I’ll fill you in on the details of my Teacher at Sea adventure. When I’m not pursuing adventure on the high seas, I am the school librarian (also known as a library media specialist) at Jenks West Intermediate School, a school of about 600 5th and 6th graders in the Jenks Public Schools District, near Tulsa, Oklahoma. I might be a bit biased, but I believe that I have the best job in the school and that I work with some of the finest teachers and students in the world. You are probably wondering, “How did a librarian from Oklahoma become part of an ocean research cruise?” I’m glad you asked. It just so happens that this blog entry answers that very question. I’ll admit it; I was born and raised a landlubber. There just aren’t many opportunities to visit the ocean when you grow up in the Midwest. Rumor has it that I touched the ocean once when I was about 3, but I didn’t touch it again until I was 21. More on that later. My passion for the ocean began in high school when I took a Marine Biology class where my mind was blown by the diversity and beauty of life in the sea and the complex network of factors that impact the health of an ocean environment. I took Marine Biology 2 and 3 the following years where I set up and maintained aquariums in elementary schools and taught ocean-related lessons for elementary students. I started to become a little obsessed with marine life, went to college to become a teacher, and did a happy dance when I learned that an aquarium was going to open in Jenks, Oklahoma. I landed a job as a summer intern in the education department of the Oklahoma Aquarium and was overjoyed to be a part of the team that opened it in 2003. 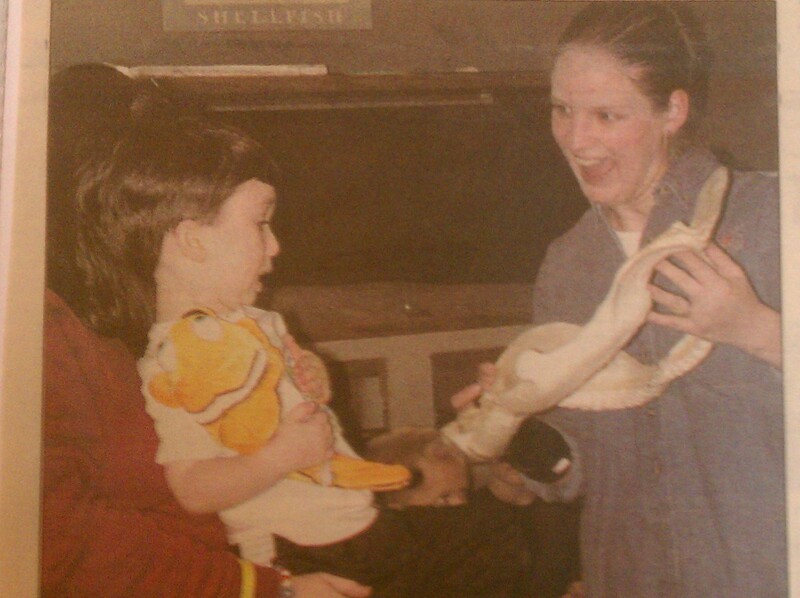 When I graduated from college, the aquarium hired me as an education specialist, where I worked with learners of all ages to promote our mission of “conservation through education” through classes, camps, fishing clinics, sleepovers, animal interactions, crafts… the list goes on and on. In 2006, I became a 6th grade teacher in Jenks Public Schools, then I earned my Masters degree and became the school librarian in 2010. I love to work with all the kiddos in my school as they learn to develop as thinkers, scientists, and citizens who have the power to impact the world. They are just the kind of advocates that the environment needs and I want to help prepare them for this important role any way possible. My experiences as a Teacher at Sea will certainly help! Let’s go back to my actual experiences with the ocean for a moment. After graduating from college and marrying my high school sweetheart David, I hightailed it to an ocean as fast as possible. We honeymooned in Hawaii where we snorkeled, explored tidepools, went on a whale watch, and temporarily filled the ocean-shaped void in my heart. I’ve been back to the ocean several times and each time I am reminded of the delicate balance that must be maintained for the fascinating world under the waves to survive and thrive. It is critical we protect the oceans and that people realize that their actions impact the oceans. Even in the landlocked state of Oklahoma, our actions matter. So, that’s why a school librarian from Oklahoma will spend the summer of 2012 on a ship in the Atlantic Ocean, counting sea scallops. I can hardly wait for the adventure to begin! Enough about me, let’s talk about the research cruise now. I’ll be participating in a sea scallop survey in the Atlantic Ocean, along the northeast coast of the United States, from Delaware to Massachusetts. My adventure at sea will begin June 27, 2012 and end July 8, 2012. What is a sea scallop? People like to eat scallops, so fishermen drag heavy-duty nets along the ocean floor (called dredging) to collect and sell them. Most of them are harvested in the Atlantic Ocean along the northeastern coast of the United States. The United States sea scallop fishery is very important for the economy. The problem is that sometimes people can harvest too many scallops and the sea scallops can’t reproduce quickly enough before they are harvested again. Eventually, this could lead to the depletion of the sea scallop population, which would be bad news for the ocean and for people. This is where the NOAA Sea Scallop Survey comes in. 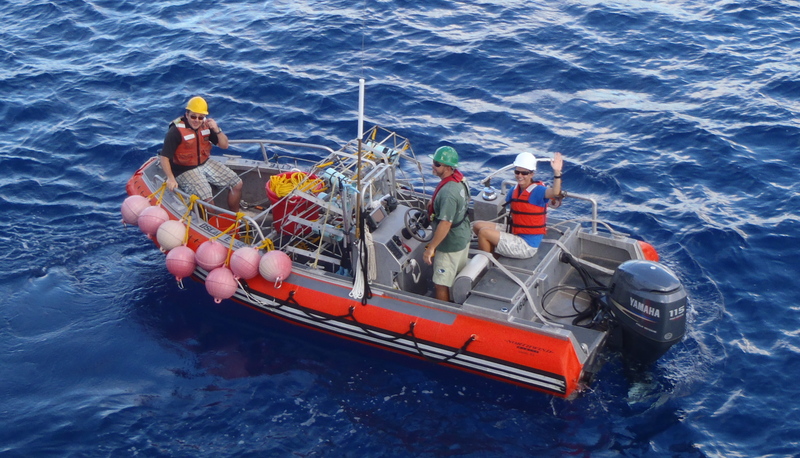 Every year, NOAA sends scientists out in a ship to count the number of Atlantic sea scallops (Placopecten magellanicus) in various parts of their habitat. The sea scallops live in groups called beds on the ocean floor 100-300 feet deep, so scientists can’t just peer into the ocean and count them. Instead, they have to dredge, just like the fisherman, to collect samples of scallops in numerous places. The scientists record data about the number, size, and weight of sea scallops and other animals. Based on the data collected, decisions are made about what areas are okay for people to harvest scallops in and what areas need a break from harvesting for a while. I’m considered a scientist on this cruise, so I’ll get to participate in this for 12 hours a day. I hear it is messy, smelly, tiring, and fascinating. Sounds like my type of adventure! I think most good science is messy, don’t you? I’ll be sailing on the research vessel Hugh R Sharp. You can take a virtual tour of the ship here. It was built in 2006, is 146 feet long (a little bit shorter than the width of a football field), and is used for lots of different scientific research expeditions. When I’m out at sea, you can see where I am on the journey and track the ship here. I’m very interested to experience what daily life is like on an ocean research vessel, how scientists use inquiry, data-collection, math, and other skills that we teach our students in a real-world setting. Of course, I’m also hoping to see some fascinating ocean critters and get my hands dirty doing the work of a real scientist. I’d love for you to join me on this adventure by following this blog and leaving your thoughts and questions in the comment section at the bottom of each blog entry. Let’s make this a learning experience that we will all remember! Hello from Hillside, New Jersey! First, for any out-of-state readers, allow me to say that despite what you may have seen on “reality” television about this beautiful state, we do not all tease our hair and have VIP memberships to tanning salons. (Okay, so I may tease it a little, but only for special occasions! Yes, this is my attempt at humor; bear with me.) All kidding aside, thank you for visiting. 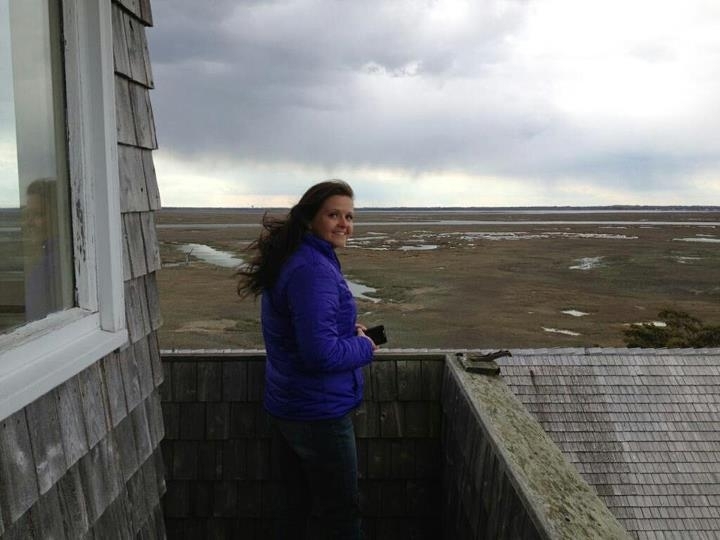 I am excited to tell you about the NOAA Teacher at Sea Program! Perhaps I should introduce myself before I start making corny jokes. I am Kristy Weaver and I am happy to say I have been a first grade teacher here at The A. P. Morris Early Childhood Center for the past 12 years. Our building is home to every pre-k, kindergarten, and first grade classroom in the district, and we are currently a community of 668 students. Hillside is part of the Partnership for Systemic Change which is a collaboration between the Merck Institute for Science Education (MISE) and six other urban or semi-urban school districts. Through this partnership I have been a part of the Academy for Leadership in Science Instruction, which is an intensive staff development series that takes place over the course of three years. I have also been a Peer Teacher Workshop facilitator and have had the opportunity to discuss effective science instruction at length with my fellow science teachers and professionals from MISE and partner districts. 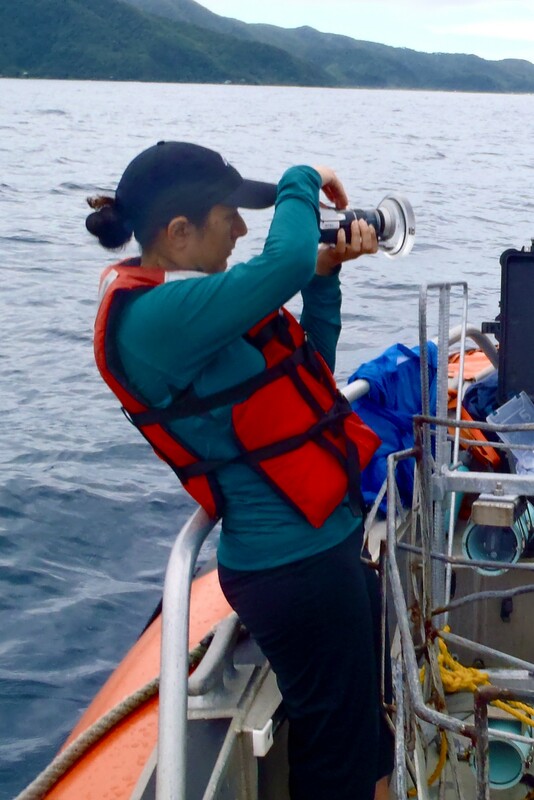 The purpose of the NOAA Teacher at Sea program is to provide teachers with real life experiences with scientific research and for us to then share that knowledge with the community upon our return. This will strengthen my own content knowledge and expose our students to scientific research and science careers while increasing environmental awareness. I am passionate about the pedagogy behind effective science instruction and while I hope that this experience will be shared with many classes, it will definitely be utilized to its fullest potential in my district. This opportunity already inspired an impromptu math lesson when I showed my class my ship, the R/V Savannah. In order to grasp how big the 92 foot vessel is, we used 60 inch measuring tapes and counted by fives until we got to 90 feet. Then we estimated two feet to help us get a sense of the size of the R/V Savannah. 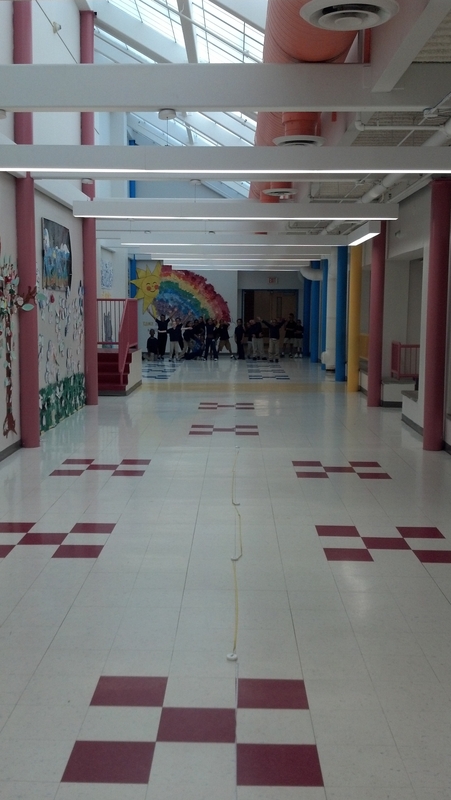 This is my class, 92 feet down the hall! Wow! The R/V Savannah is larger than we thought! I love being a teacher, and it is definitely where my passion lies. However, when I was a child I never felt that being a scientist was an option for me because I didn’t know where to begin. I had an innate curiosity about the water, but didn’t know that I could have built a career around it. It’s my job to make sure that my students are afforded every opportunity, know that their dreams are within their reach, and feel as if the world is at their fingertips- because it is! How Did I Hear About Teacher at Sea? Two years ago I attended the National Science Teachers Association Convention in Philadelphia, PA. One of the booths at the exhibition center was for NOAA‘s (National Oceanic and Atmospheric Administration) Teacher at Sea Program. It was fascinating to talk with teachers who had gone out to sea with NOAA in the past, and I immediately knew it was something I would pursue. My whole life I had lived vicariously through scientists on various nature shows, and I was thrilled to learn that I even had the possibility to experience something like this first hand. So how is this going to help first graders? In 2011 Microsoft Corp. commissioned two national surveys with Harris Interactive for parent and student opinions on how to motivate the next generation of STEM (Science, Technology, Engineering and Mathematics) professionals. For most, the decision to study STEM started before college. More than half (57 percent) of STEM college students said that before going to college, a teacher or class got them interested in STEM. This gives me, a first grade teacher, the opportunity to plant the seed early and expose children to STEM careers before they even reach the second grade. If I can motivate just one child with this experience, or prove to them that they too should chase their dreams, then any amount of seasickness will be worthwhile. I have always been fascinated by the ocean and how something could be equally tranquil and ferocious. As a child I never “sat still” and my boundless energy had me bouncing from one activity to the next with less than a heart beat in-between. 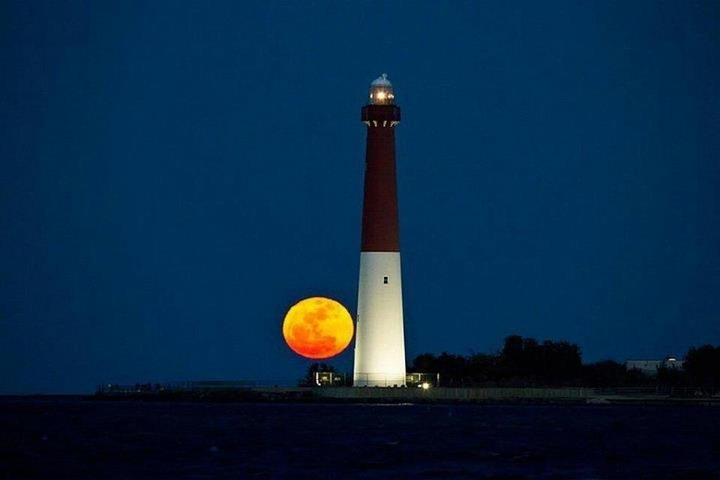 Yet, even as early as three years old, I can remember sitting on my grandfather’s lap in Long Beach Island and just staring out at the water for what seemed like hours. In retrospect it may have only been 15 minutes, but regardless, just looking at the ocean had me calm, captivated, and thoroughly entertained in the silence of my own thoughts. When I was young I always loved the underwater pieces in my parents’ National Geographic magazines, but it never crossed my mind that I could someday be a diver. When I grew up a little I decided that it was something I would definitely do “someday.” I finally realized that someday never comes unless you make your “someday” today. I became a certified diver three years ago, and up until this point, it is one of the best things I have ever done. As an adult, I have always watched nature shows, but never in my wildest dreams did I believe that I would someday have the opportunity to experience something like Teacher at Sea. I think this helps send an important message to my students: You should always go out and experience everything you want in life. I did a shipwreck dive to 109 feet, have fed sea turtles, swam with sharks, flew a helicopter, , and have been on a trapeze in two different countries. Yet somehow, I have a feeling that all of these things will pale in comparison to the adventure I am about to have. I am getting ready to head out to sea and my students and I are so excited. The next time I write I will most likely be somewhere near Savannah, GA where I will be setting sail on the R/V Savannah for an 8 day reef fish survey. While the first grade students are my target audience for my blogs while I am at sea, I encourage people of all ages to follow me along my journey. I hope that everyone will be able to get something out of it, and that secondary teachers will be able to use this experience as a starting point for some of their lessons as well. Please feel free to post your comments or questions, and I will do my best to bring back the information you are most curious about! As I sit at the airport eating my peanut m&ms, it reinforced the bitter sweetness of today. On Thursday, I could still feel the swaying of the boat as I woke up. The day seemed to go fast and slow at the same time. I finished packing my bags, did some final clean up of our stateroom and helped with minor cleaning around the ship and with the scientific equipment. I even got called to the bridge. As Officer Ellis made the announcement over the ship’s PA system (with great enunciation of my last name by the way); it made me feel like I was being called to the principal’s office. Thankfully I wasn’t in any trouble, the NOAA Corps officers were only honoring one of my wishes of taking a group photograph of them. Soon enough, the good-byes began. While most of the staff will see and work with each other again on different missions, different ships or even in the same office, I was saying good-bye knowing in the back of my mind that I may never see any of these people again. Everyone on the ship was so welcoming and very generous with their time. Everyone involved made my journey a great one. I was intrigued by their career paths and now have plenty of information to share with my corpsmembers. Regrettably, I may not see them again but they will definitely receive e-mails from me, as my work is not done. While I am happy to be home, I feel like a student on the cusp of graduation, wishing I could’ve done more and wondering whether I did enough. I look forward to creating a summary of my experience and developing two lesson plans in the next few months. I want to express my gratitude to everyone involved in making this opportunity come to fruition including all the NOAA Teacher at Sea staff, everyone on the ship and my co-workers for picking up the slack while I have been away. Sue Oltman: Mrs. Oltman Prepares to Set Sail! Hi everyone! I’m a 6th grade science teacher in Georgia getting ready for an exciting time of learning and exploration – in a hemisphere I’ve never visited! I hope you’ll visit and comment on this blog often. Originally, I’m from New York, but I have been in Atlanta since attending college at Georgia Tech. Before I was a teacher, I was an engineer, but I’ve always wanted to be a scientist! 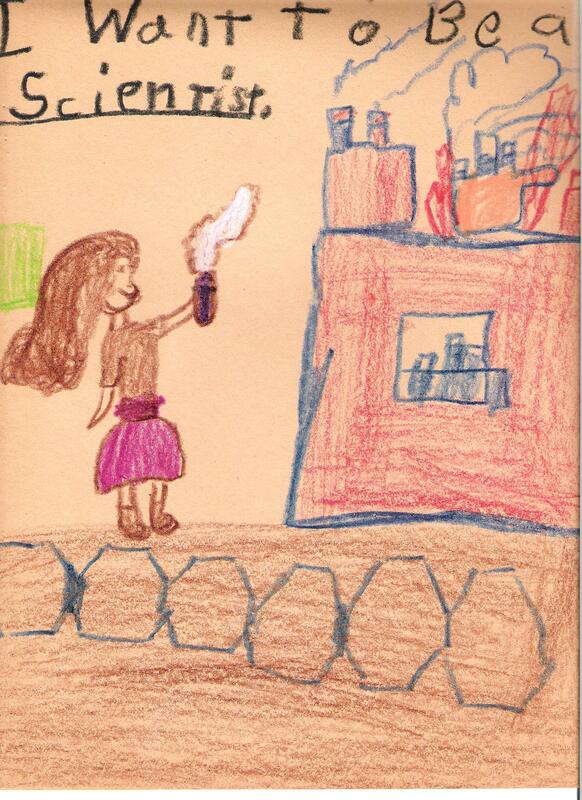 A self portrait when I was 6 years old! For 5 years, I’ve been thinking about applying to the NOAA Teacher at Sea program and am so honored to have been selected. The ocean has always been a fascinating place to me – the waves, the sand, the shells, the life, the vastness. I’m a scuba diver and love boating. Many vacations have brought me to the ocean, but this time, my visit is not for leisure but joining in important research. The research is about predicting climate change by observing ocean and lower atmosphere interactions. There is a lot I have to learn about this topic, and I hope to share as much as possible in future blogs. One new fact I learned when reading up on NOAA’s climate program, is that there are ocean floor features which can increase upwelling, which in turn decreases surface temperatures. On our cruise, the Melville will sail near some tectonically active areas – and that means the ocean floor may be changing, even as I sail above it! I’ve memotioned I will visit the southern hemisphere: the Melville sets sail from the port of Valparaiso, Chile and my next post will likely be from there! I need to pack for potentially cold weather, even as my students get ready for summer vacation. Can you help me decide what hat to wear? One of the first individuals I met when I came on-board the Oscar Elton Sette was Operations Officer, Justin Keesee. Not only was he friendly but he also looked like he knew what he was doing. So, who is he and what does he do? Justin’s knowledge of the NOAA Corps didn’t come until after a few years of experience working in Alaska where he was a fisheries observer collecting data on Pollock and Pacific Cod. Periodically, he would travel back to NOAA’s Western Regional Center’s Sand Point Facility in Seattle, Washington for debriefing meetings with a FMA (Fisheries Monitoring and Analysis) staff member and thoroughly reviewing the data collected. He worked as an observer over the span of five years. He learned about the NOAA Corps when he reconnected with a college friend that joined the NOAA Corps right after earning his undergraduate degree. Having a degree within the major fields of study “that align with NOAA’s scientific and technological activities” is one of the educational requirements to apply to the NOAA Corps. Justin studied marine biology and earned his degree from the Florida Institute of Technology. His interest in science and the appeal of working for a government agency drove his decision to apply. He confided that he was more interested in the science aspect of the job and he didn’t really know what he was getting into until he began his basic training. He described it as an intensive course in piloting a ship; the training ranged from learning navigational rules to mastering his knot tying skills. 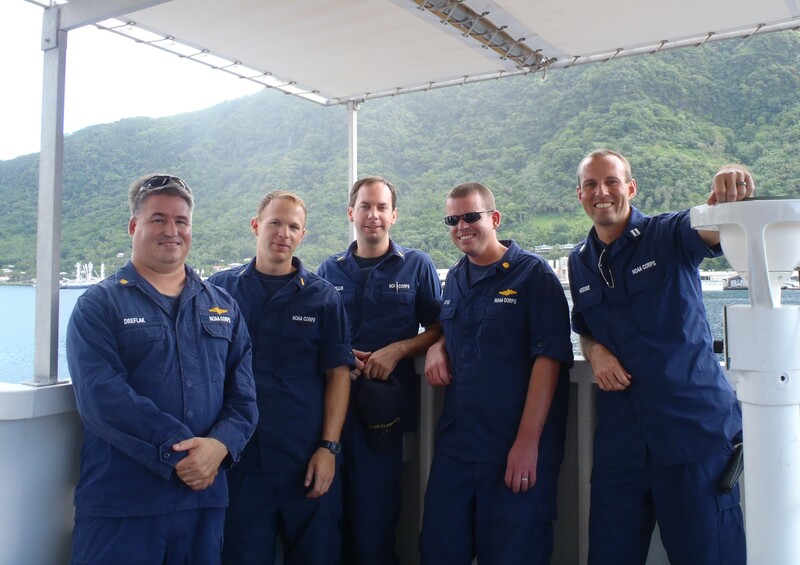 After completing basic training, officers are assigned to a NOAA ship for three years and then are appointed to a shore assignment for two years, which varies from working in a laboratory to doing administrative work. Officers are then on a continual rotation between ship and shore assignments. NOAA Corps officers are eligible for all military benefits including the new GI bill which delivers military education benefits to not only veterans but also active duty personnel. Keesee is taking advantage of this opportunity and working towards earning a master’s degree in business administration from his undergraduate alma mater. 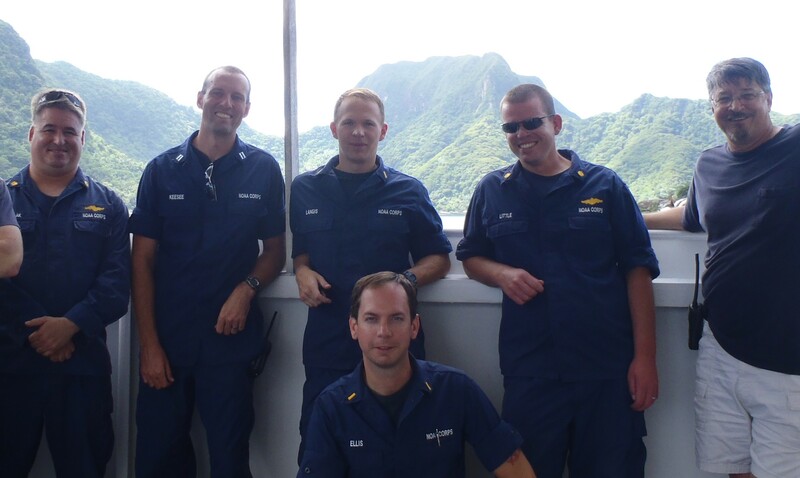 Officer Keesee was first assigned to the NOAA ship Oregon II based out of Pascagoula, Mississipi. 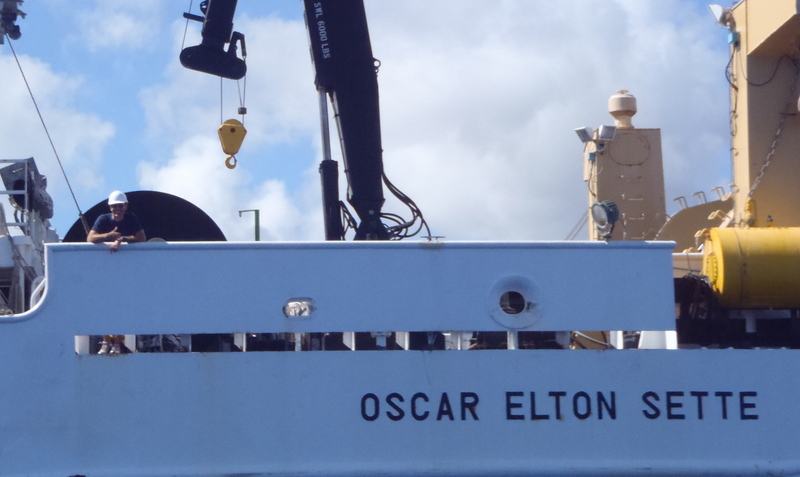 Before arriving on the Oscar Elton Sette, he also completed his first shore assignment at the Panama City Lab which is one of the five laboratories that conducts research as part of the Southeast Fisheries Science Centers. He currently serves as the Operations Officer, which means he is responsible for communicating with the scientific staff and the ship’s crew to ensure all needs are met and procedures are carried out safely. He has two four-hour shifts on the bridge as the officer on watch. The bridge is basically the control room that has a clear view of the ship’s path and holds all the necessary equipment to safely navigate the ship including nautical charts and various radar screens. 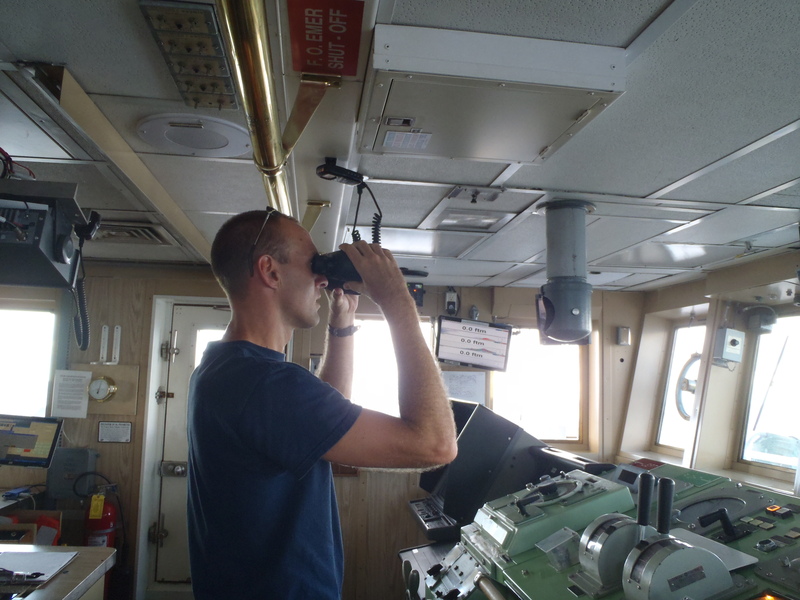 During this watch time, he is responsible for the overall safe navigation of the ship ensuring that the ship is maintaining a safe distance from other vessels, tracking any weather patterns, maintaining communication with any small boats that may be out on the water, and ensuring any scientific equipment isn’t damaged by other boats. One perk of his job, is that he has a great view from his office. When asked “if you you only knew then, what you know now what advice would you give yourself” his response was “to relax a little and enjoy my time with NOAA.” He further explained that he sometimes takes things too seriously but it is only because he wants to do a great job. He communicates well with the scientific staff and holds the respect of the ship’s crew. I’m only a visitor on this ship but it is evident that Officer Keesee has a great work ethic and represents the caliber of the personnel that comprise the NOAA Corps. 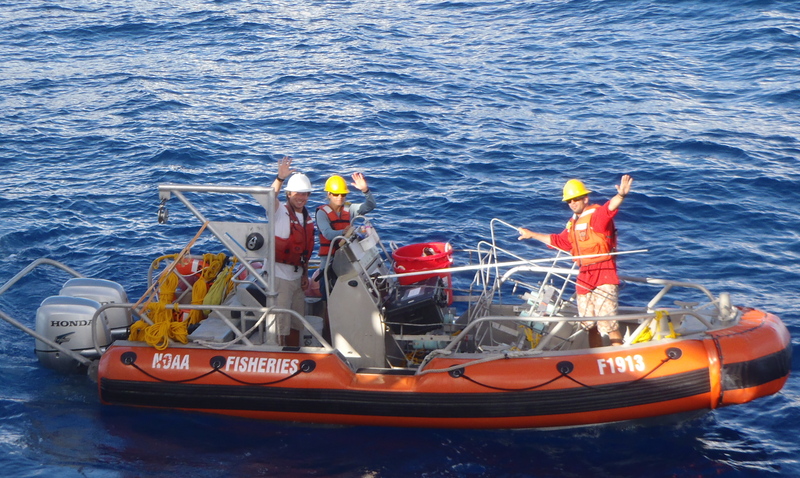 There were a total of five NOAA Corps officers aboard the Oscar Elton Sette during the research cruise. The ship normally has four officers but due to the busy workload associated with the comparison study, LCDR Colin Little was added to the ship’s crew. Whoever said science isn’t fun, didn’t spend a day with the BRUVS team made up of James Barlow, Jacob Asher and Marie Ferguson. Ben Saunders, Louise Giuseffi and Mills Dunlap make up the other equally charismatic BRUVS team. Every day the two teams depart from the NOAA research vessel, Oscar Elton Sette, onto the small boats to their predetermined locations to deploy the stereo-BRUVS (Baited Remote Underwater Video Stations). They deal with heat, humidity, rain, waves, currents and anything else you can imagine, even large floating debris. One would think that by the fifth or sixth consecutive day that they may be a little crabby, but on the contrary, their spirits are kept high with a little silliness that keeps their job from becoming grueling and monotonous. I quickly learned the carefree attitude of the team as the term “no splashy” was used between James and Jacob to communicate with each other as Jacob carefully prepared the cameras “of science” and James positioned the boat at the site. This light-hearted repartee continued throughout the day. Any tool used from the clipboard to the pencil was followed by the singsong term “of science.” On my first day out on the water, I became familiar with completing the data sheet “of science.” The data sheet “of science” keeps track of many important details including the site number, site location with GPS coordinates, depth, memory card identification number, time of deployment and time of retrieval just to name a few. I also assisted with the stick “of science,” which is the baited arm that is attached to the BRUVS frame before being deployed and removed after retrieval. Amidst all the banter, safety and accuracy were always a priority. On my second day out with the team, Marie thoroughly reviewed all the procedures with me from data tracking to preparing the cameras and the tricks of the trade for safely lowering and recovering the BRUVS. Reviewing video footage with them was exciting, as you never know what the cameras may capture. It was also entertaining as they add commentary; some may say they are just delirious from being in the sun all day. Delirium? Silliness? Call it what you want, it is still informative. Working with these intriguing individuals reminds me that science is alive and exciting. They not only shared their experience and knowledge but also involved me in the process. Being out on the water, regardless of the weather conditions, was a treat for me. The day was filled with beautiful coral reefs visible through crystal clear blue waters, flying fish soaring above the water, turtles swimming and diving; it evoked the excitement of the child within me. The best thing is realizing you were learning and you were having fun. Learning that is guided by curiosity and the joy of discovery; this is the type of learning environment that I want to facilitate for the students that visit the SEA Lab and for my corpsmembers who are just embarking on their careers. Meet the BRUVS team members! Education: Bachelor of Science in Marine & Freshwater Biology from University of Wales at Aberystwyth, PhD in Marine Ecology from University of Western Australia. Duties: Manages a team of technicians that sample and analyze video footage. If you only knew then what you know now, what advice would you give yourself? Believe in yourself and others will believe in you, too. Favorite thing about his job: Going to interesting and exotic places. Education: Bachelor of Science in Biology from University of Hawaii at Manoa, Graduate Certificate in Ocean Policy from University of Hawaii at Manoa. 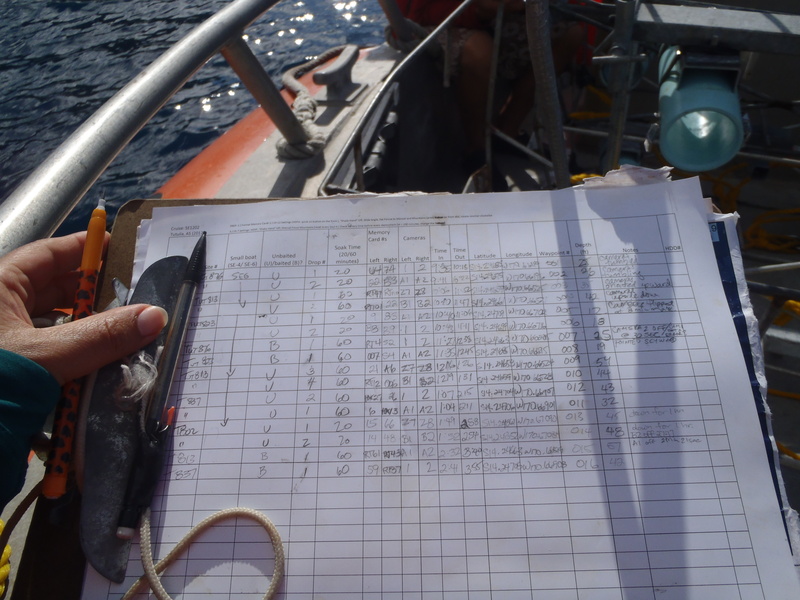 Duties: Create maps using fish data summaries and help with preparation for research cruises. If you only knew then what you know now, what advice would you give yourself? Dream big. If you want something and you work at it, it will come your way. Favorite thing about her job: Being out on the field and in the water. Education: Associate in Applied Science in Marine Technology from Cape Fear Community College. Duties: Assist with operations. Help scientists collect the data they need. Tasks vary from fishing to operating small boats. When you were little what did you want to grow up to be? It changed all the time. Didn’t have one specific career in mind. He does remember wanting to be a pilot and an explorer. If you only knew then what you know now, what advice would you give yourself? See the world. Travel more at an earlier age. Favorite thing about his job: Fishing and getting paid to see the world. Education: Bachelor of Science in Marine Biology from University of California at Santa Cruz. Duties: Teaches day-to-day boat and safety program for PIFSC. When you were little what did you want to grow up to be? I didn’t have a specific career in mind but was always interested in water activities. It wasn’t until he volunteered at UC Davis’ Bodega Marine Laboratory that he became focused on Marine Biology. If you only knew then what you know now, what advice would you give yourself? When working with people on a daily basis or out on the field, know that there are a lot of things that come up that are not about you. Favorite thing about his job: Having a successful boating operation program and working with really good people. Education: Bachelor of Arts in Environmental Science from University of California at Santa Barbara. Duties: She is a CRED (Coral Reef Ecosystems Division) research diver whom conducts fish REA and towed-diver surveys as well as benthic-towed diver surveys. 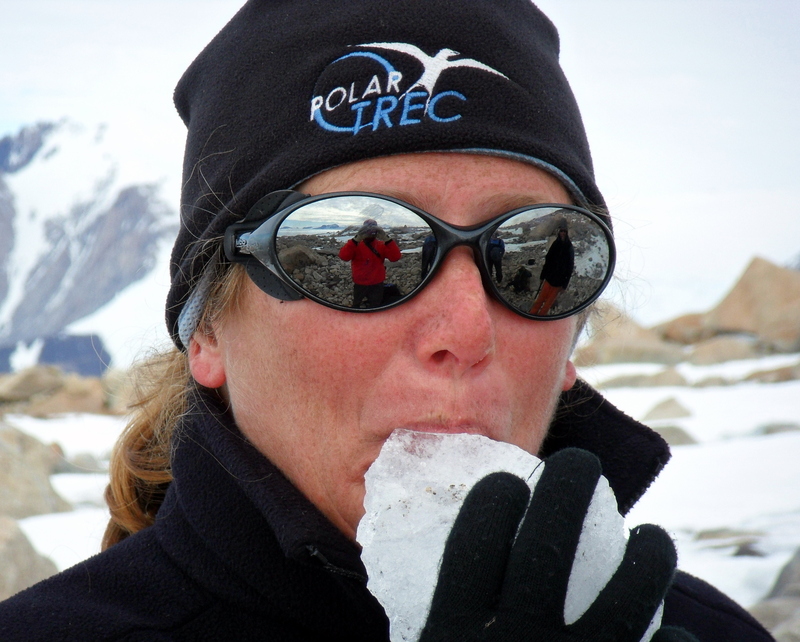 She additionally assists the Benthic Habitat Mapping and Characterization team. When you were little, what did you want to go grow up to be? Marine Biologist. 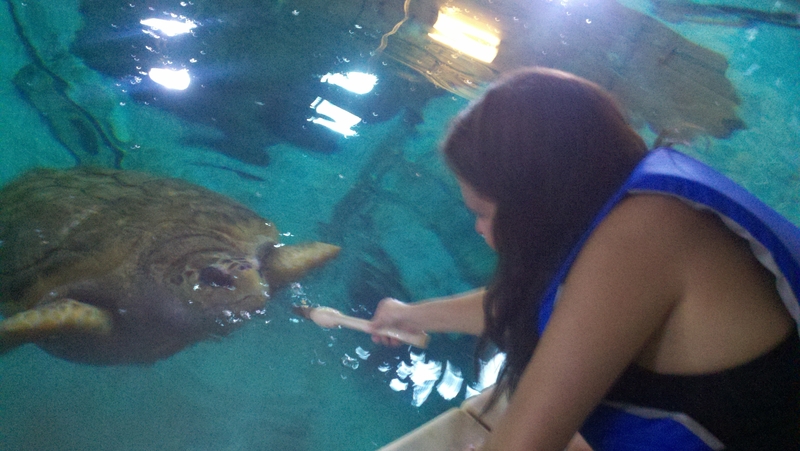 Favorite thing about her job: Diving and seeing all the different marine habitats. If you only knew then what you know now, what advice would you give yourself? Set yourself up for success. Take advantage of any opportunity that may arise and try different things. If you are trying to figure out a career and field of profession, participate in internship programs even if you don’t know exactly what it is that you want to do (they’ll help you get some preliminary experience). And take the time to travel and see the world…it will open your eyes and broaden your perspective. Education: Bachelor of Science in Biology from University of Michigan, Master of Science in Coastal Environmental Management from Duke University and will be pursuing PhD with the University of Western Australia. Duties: He analyzes data, write grants and serves as a science liaison for the Commonwealth of the Northern Mariana Islands Marine Debris Program. He is also a diver and part of the Benthic Habitat Mapping and Characterization team. If you only knew then what you know now, what advice would you give yourself? Have fun but stay focused. Life is short. Figure out what you want to do and go after it. Success doesn’t come by luck; it comes if you really work for it. If you are going to do it, don’t do it half-way do it all the way. Favorite thing about his job: It marries everything he loved when he was a kid; surfing, swimming, diving, etc.